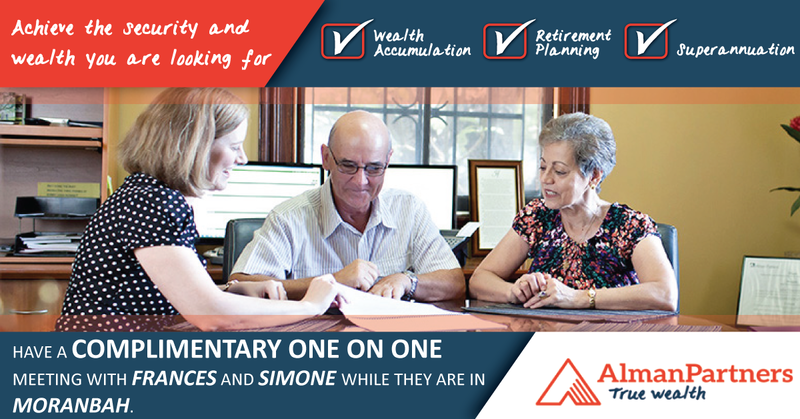 Alman Partners True Wealth senior financial adviser Frances Easton and personal insurance adviser Simone Anderson will be in Moranbah on Friday the 21st of April. Our Financial Planning firm regularly services Moranbah and the surrounding areas from our Mackay office. Please enter your details below or call our office on 0749572572 to register for a no obligation complimentary meeting.